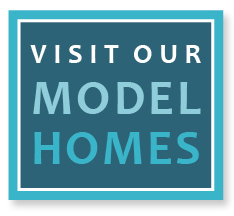 The Meadows at Imperial Oaks is the ideal place in which to establish your family in a safe and desirable community, and the various amenities available in the community provide ample recreation opportunities for residents. Featured amenities include a resort-style swimming pool, a toddler pool with spray features, an open-air pavilion with picnic tables, a playground with swings, and a recreation center. An amenity lake with fountains is central to the community and provides a lush, natural background to complement miles of sidewalks and walking trails. The nearby Tamarac Park offers a dog-friendly area that affords residents the opportunity to play, interact, and enjoy the sunshine with their canine friends. In addition, the Homeowners Association sponsors frequent resident activities throughout the year, so you can be sure there is always something exciting happening at The Meadows at Imperial Oaks. And the best part? All of these wonderful amenities are available in an affordable community located just minutes from The Woodlands and central Houston.